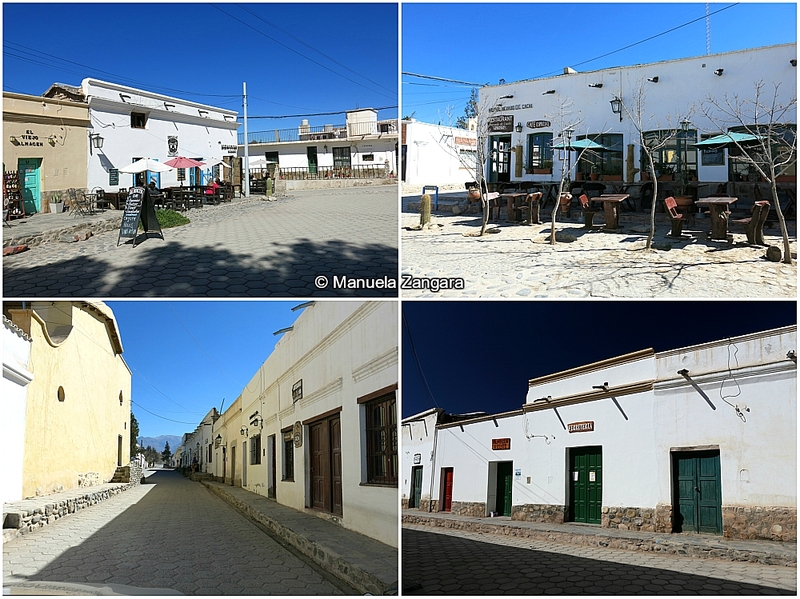 During our trip to Chile and Argentina, we travelled from Salta to Molinos, via the small colonial town of Cachi, on our way to Cafayate. 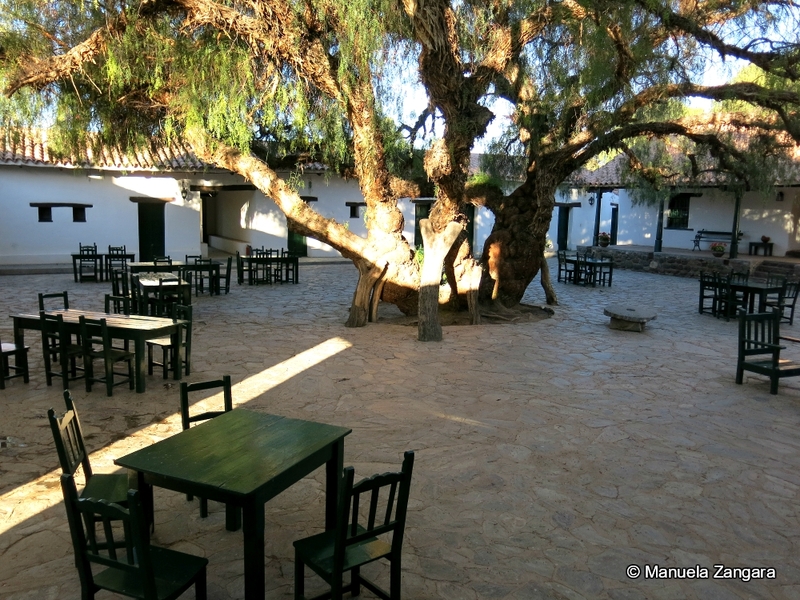 We stayed one night in the tiny village of Molinos, where you feel like you have stepped back in time. 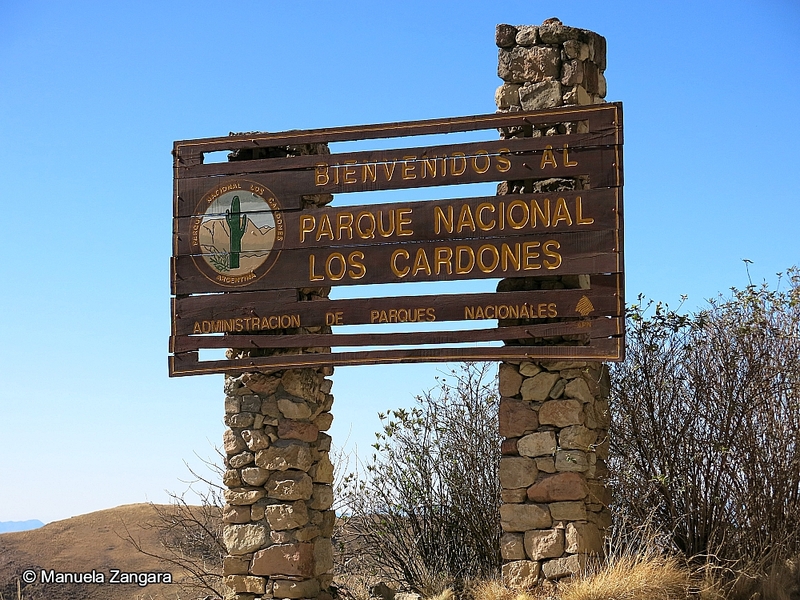 The drive is very picturesque and you pass through a National Park – Parque Nacional Los Cardones – famous for its cacti and its old trade route known as “Camino Inca” that has been used for over 10,000 years! The view over the snow-capped mountains is breathtaking. The best way to experience this region is to rent a car and enjoy the breathtaking views. 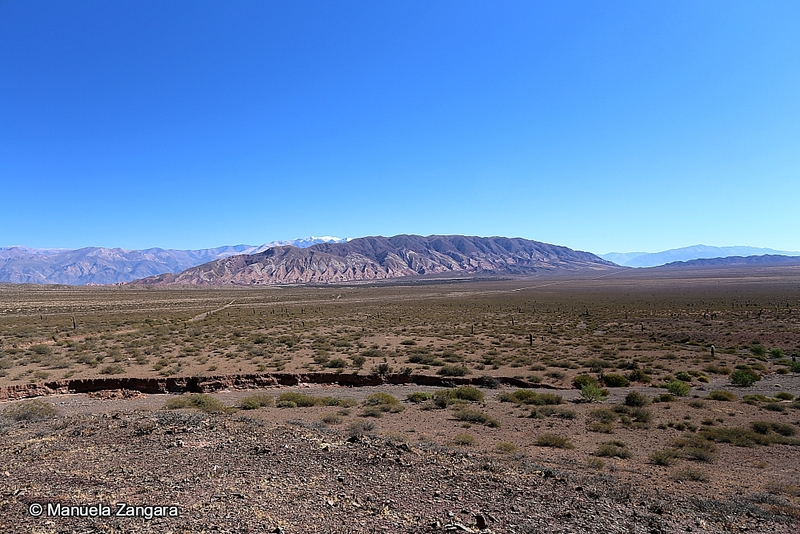 Unfortunately, RN40 between Cachi and Molinos (and then onwards until San Carlos, near Cafayate) is in terrible shape. The road is gravel and full of potholes. It’s also very narrow at times and you will need to drive carefully and slowly! However, the landscape around you is amazing and it will be an adventure we’ll never forget! 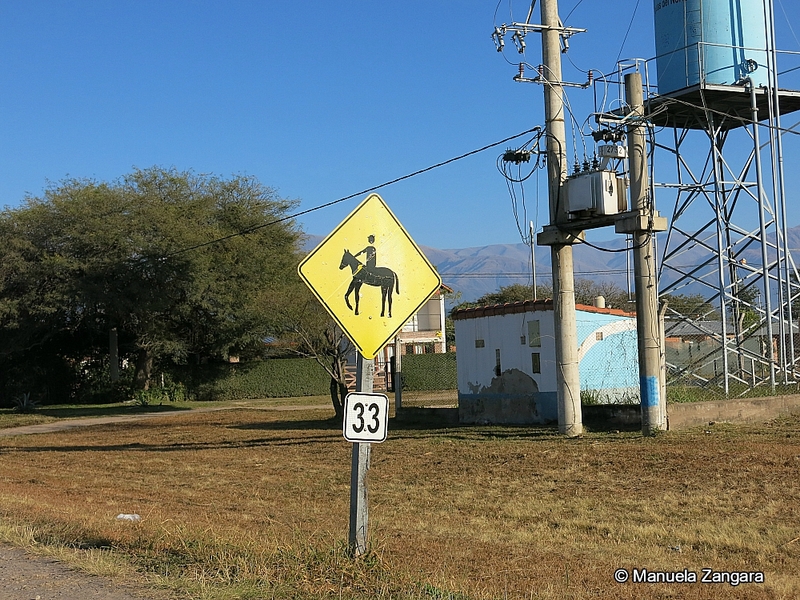 Just outside of Salta, we managed to see a few gauchos riding on their horses. They were on their way to the annual parade for General Güemes in Salta. Unfortunately, I couldn’t take a photo, but I managed to tape them and they are on my video! 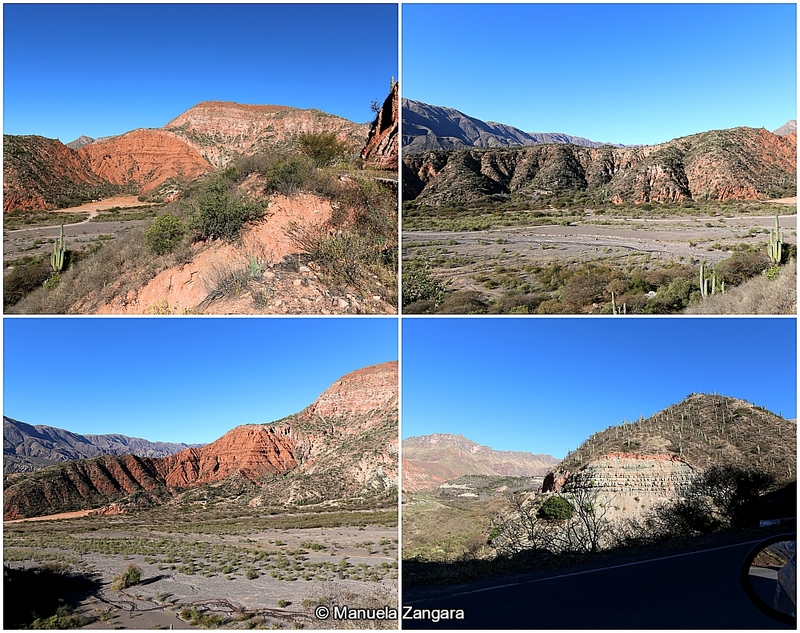 About 60 km after leaving Salta, you arrive at Quebrada de Escoipe, a big canyon with lush vegetation that in some areas resemble a jungle. 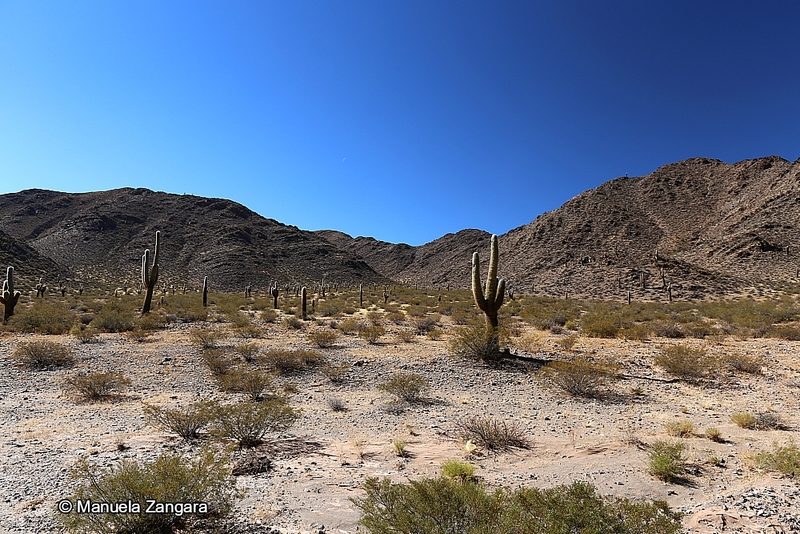 In other parts, the landscape is drier, the rock formations are red and you can see cactus fields everywhere. To reach the top of the canyon, you drive along the Cuesta del Obispo, a winding road that takes you high on the mountains and from where you have a beautiful view. 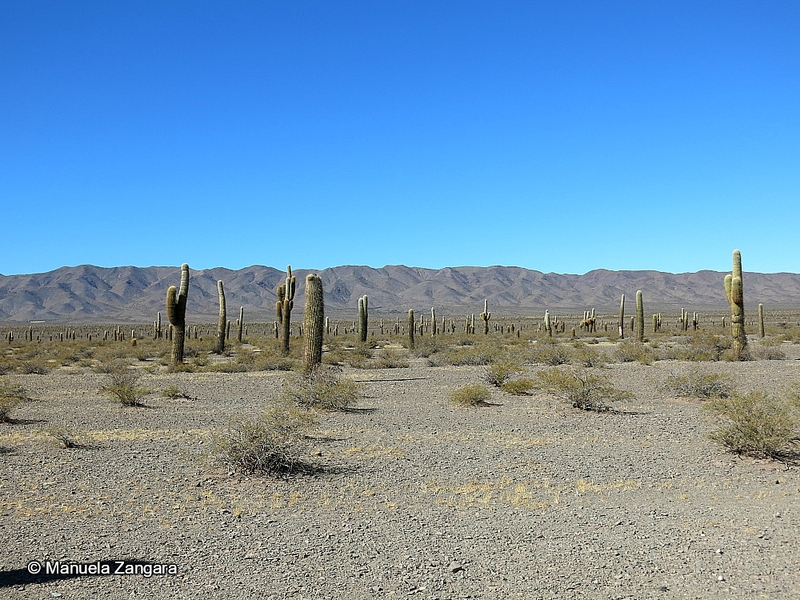 After Cuesta del Obispo, you enter Parque Nacional los Cardones (Cacti National Park). This was possibly even more beautiful than the area before. 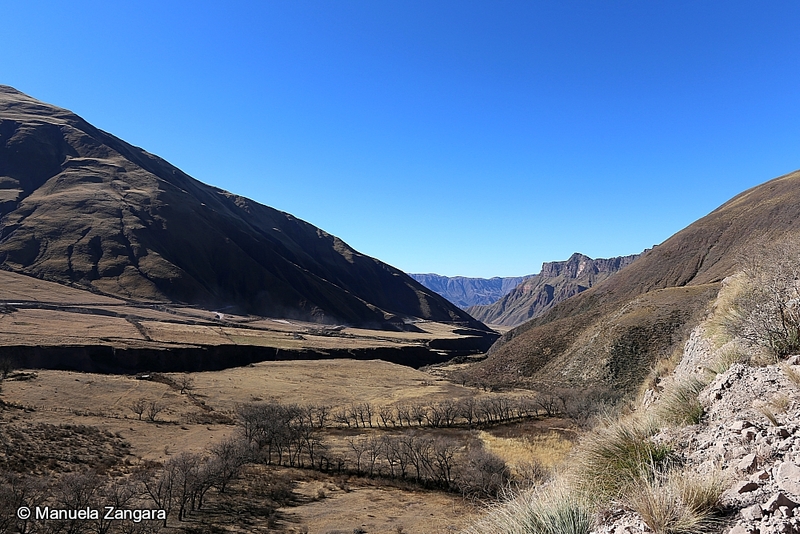 This landscape is very similar to what you would see in Bolivia, Peru or the north of Chile. The first part is quite flat with no much vegetation. 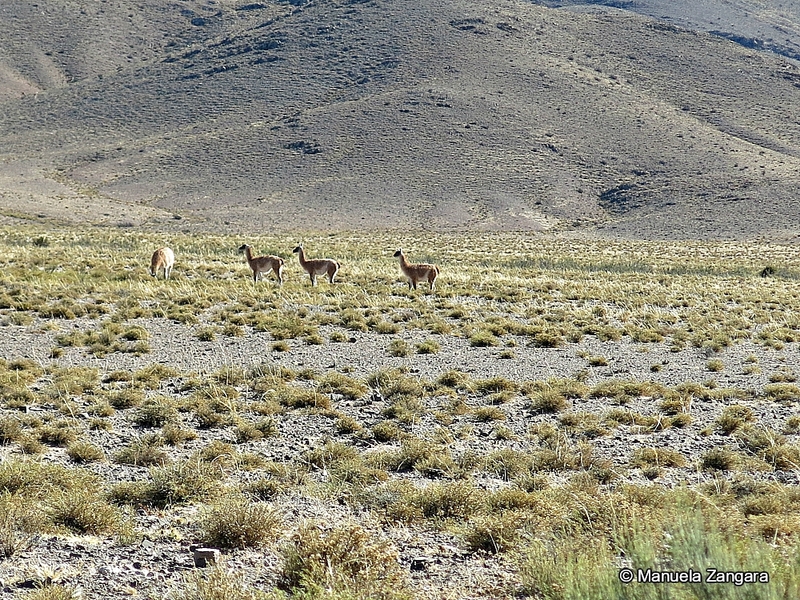 After a few kilometres, we saw some wild guanacos grazing away in the fields. This was an amazing sight, something I had always hoped to see. We stopped at a viewpoint from where you can see the Cerro Tin Tin. We also stopped to walk around the cactus fields. Some of them were huge! And then we got to drive on the famous Recta del Tin Tin. 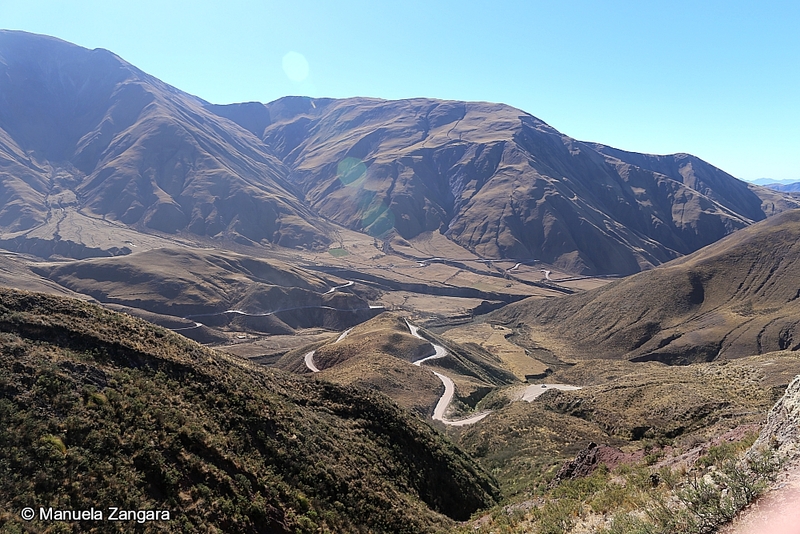 This road was part of “Camino del Inca” and it was built between 1480 and 1535! It is completely straight for 19 kilometres and it’s surrounded by beautiful (and very tall) mountains. At this point, you are driving at 3,000 metres above the sea level! 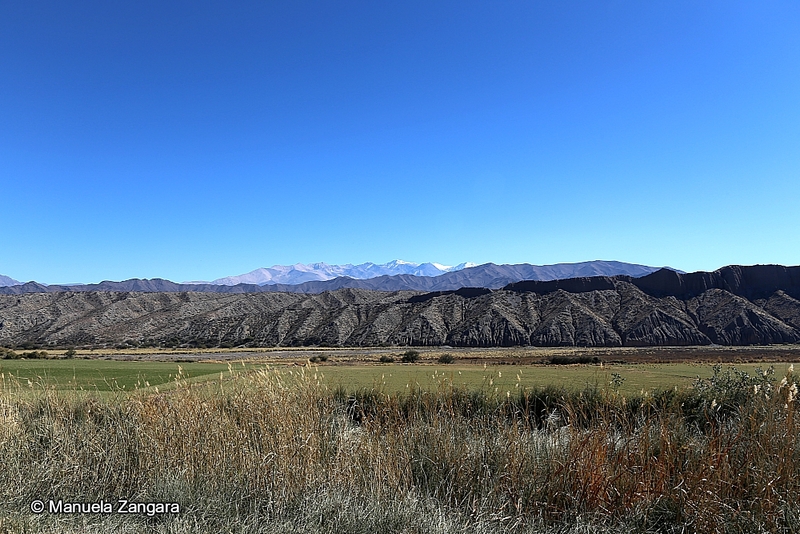 After Payogasta, we took RN40 and drove to Cachi. What can I say about Cachi?? It’s an enchanting adobe town in the Calchaquí Valleys, backed by snow-capped Andean peaks and fringed with high-altitude vineyards that produce world-class wine! I personally fell in love with it! 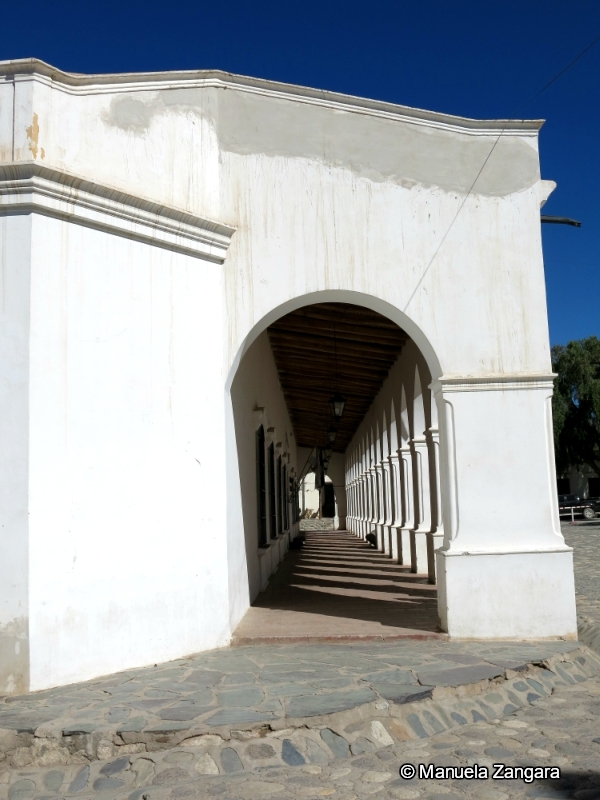 The architecture of the town is of colonial Spanish style with adobe homes painted white and built over bases of rock, with antique window grills forged of iron. 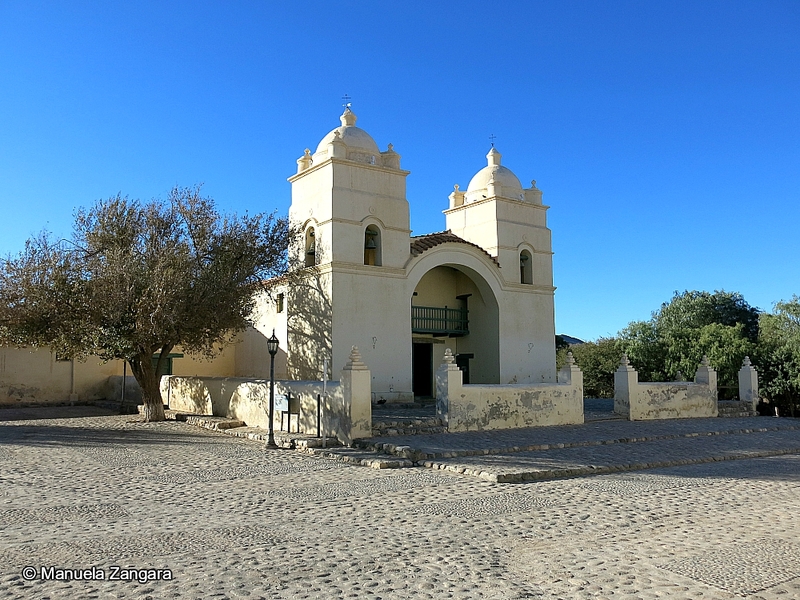 In the Central Plaza is the Church of Chachi, a recognized National Historical Monument, built in the sixteenth century. 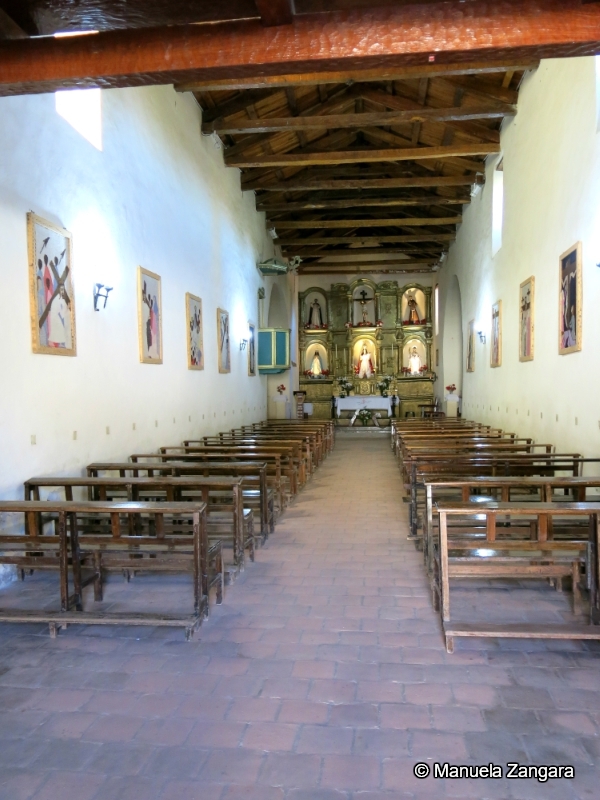 Its beams, altars and confession booths are all carved from the porous wood of the local cacti. 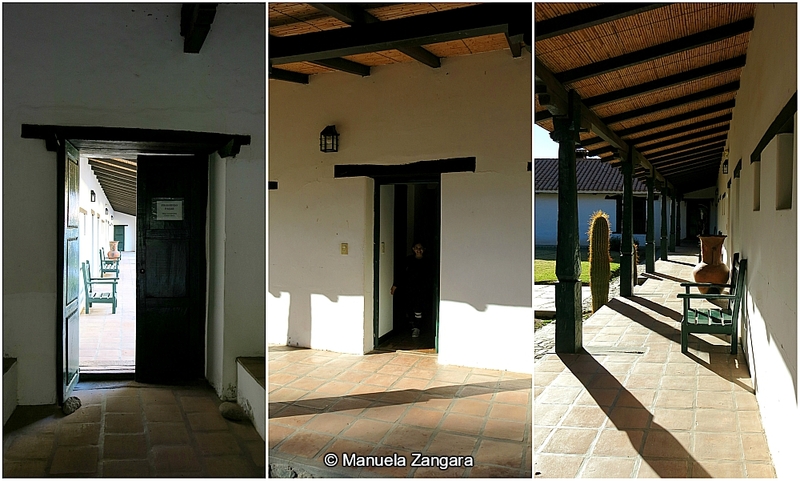 In the same Plaza, you can also see the colonial Cabildo (town hall). 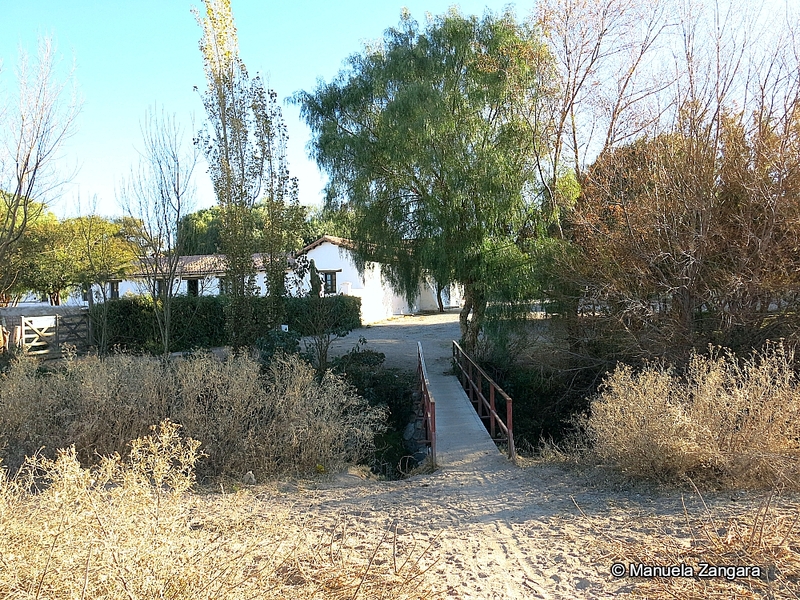 The cobblestone alleys, adobe architecture, tranquil plaza, and the opportunities to explore the surrounding areas will make you want to stay here for a few days! 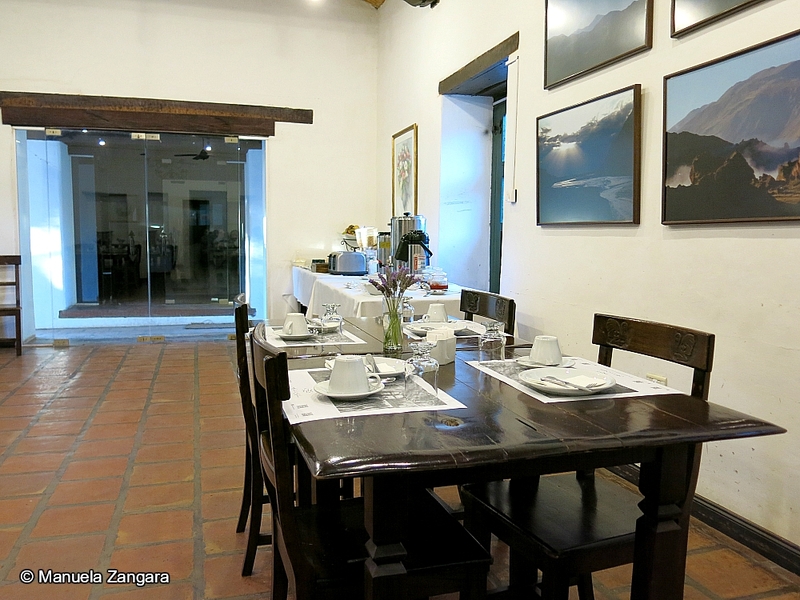 In this case, you should visit the world’s highest vineyard, Bodegas Colomé. Unfortunately, we did not have the time, but if you do, I suggest you spend a couple of nights here. RN40 becomes even worse after Cachi and it takes forever to get to our final destination for the day: the little village of Molinos. In fact, we were driving at 20 km/h! 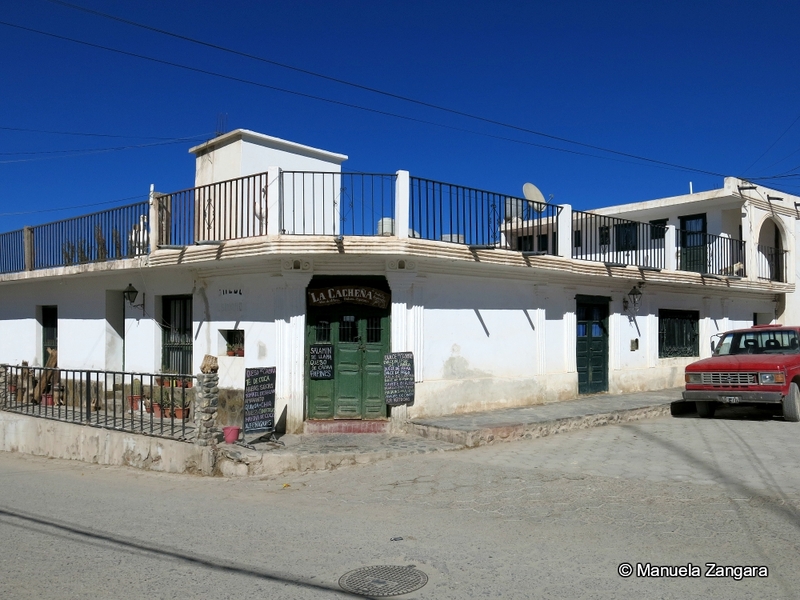 Molinos is a little village in the Calchaquí Valleys surrounded by colourful mountains. It was founded in the 1700’s. In the main square, you can find the ancient Church. 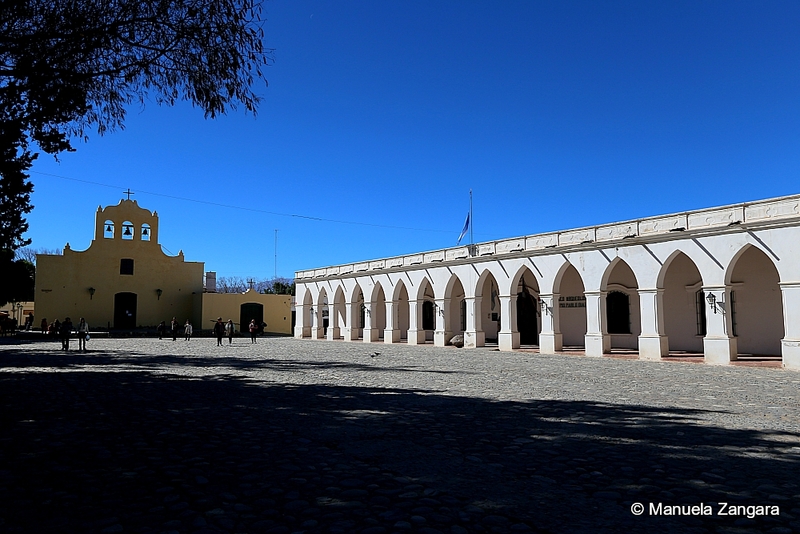 It was built at the end of the 1700’s for orders of Nicolás Severo de Isasmendi, the last royalist governor of Salta. 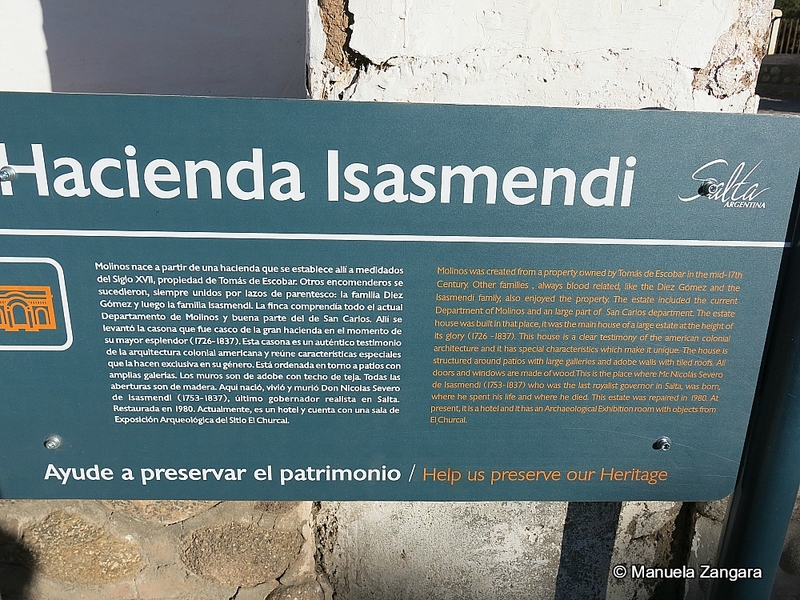 Nicolás Severo de Isasmendi was born in Molinos and his mummified remains can be found in the church. 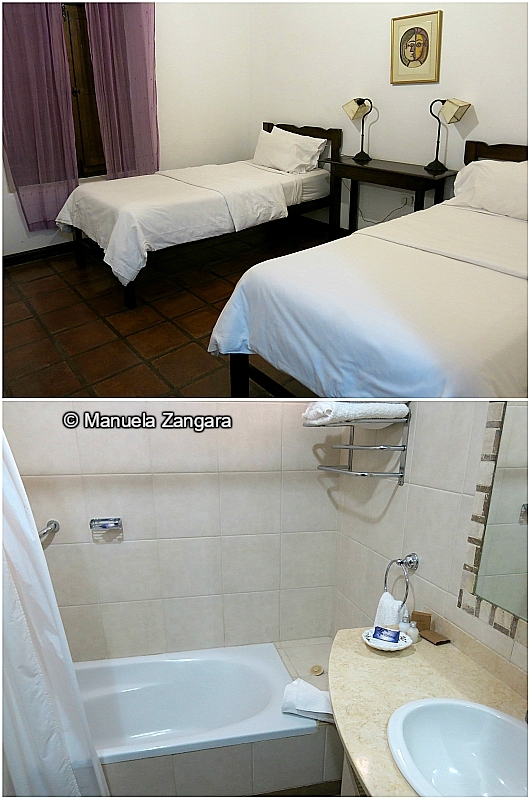 In front of the Church, there is a beautiful ancient house, which has been turned into a hotel. This was our accommodation for the night (scroll down to read more about it). If you have time, this is a great spot for horseback riding. 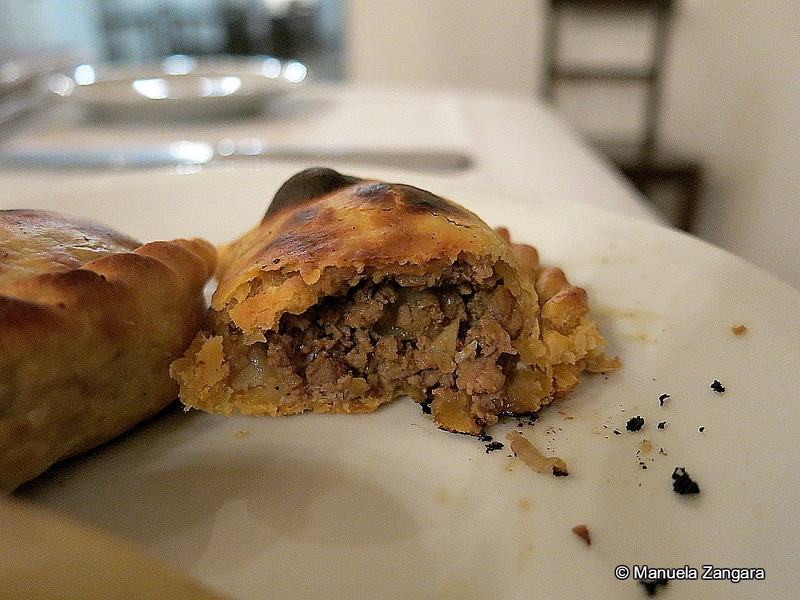 The cuisine of this area of Argentina is very different from the rest of the country. 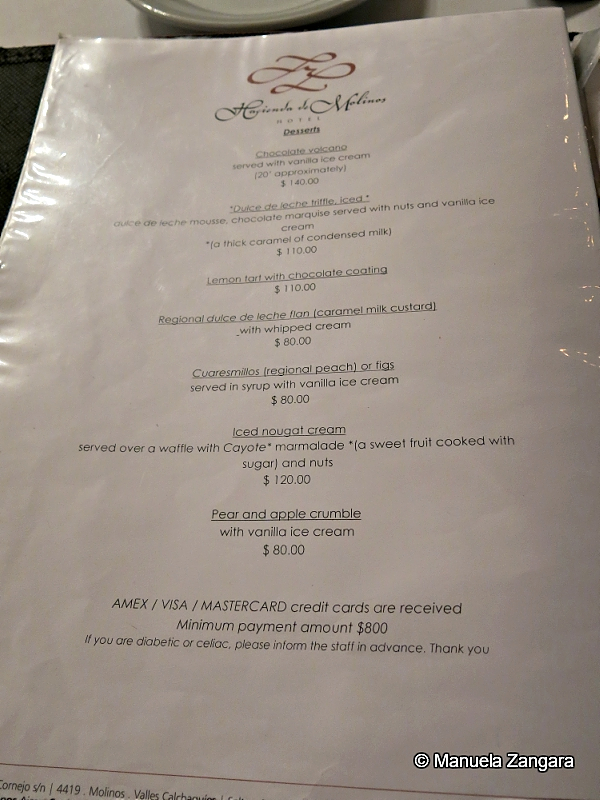 Be sure to try the empanadas. Other local fare includes: locro, a thick stew of corn, beans and potato; tamales, corn flour wraps filled with meat and/or potatoes and steamed in a leaf wrapper; and humitas, steamed corn husks filled with mashed corn and cheese. 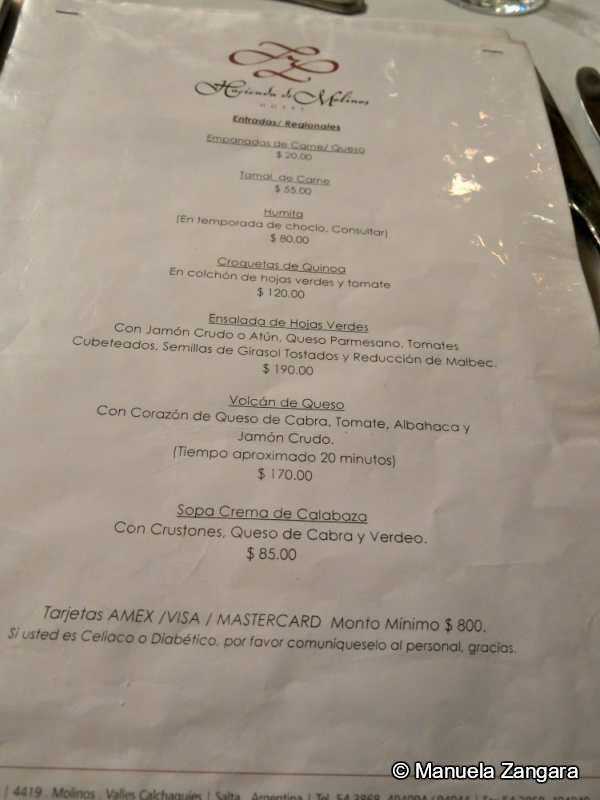 We ate in Molinos, at Hacienda de Molinos – our hotel for the night. 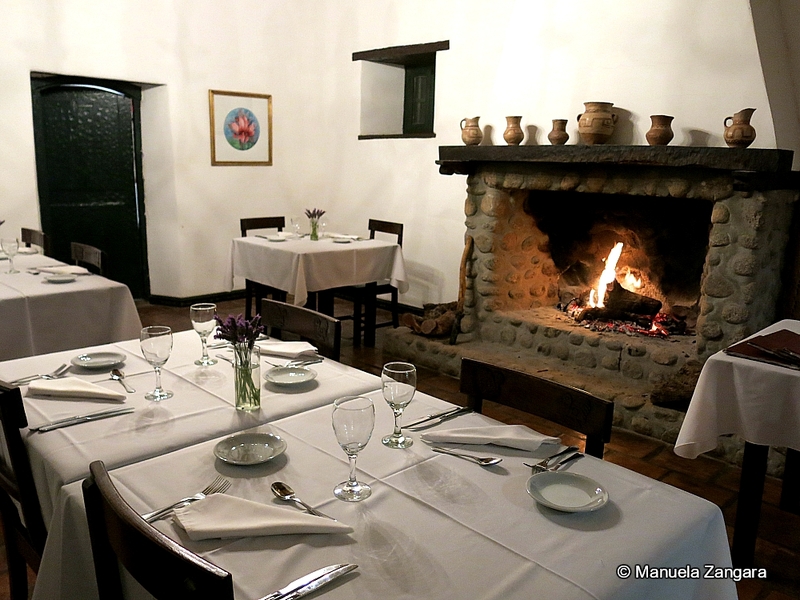 The restaurant area is small and cozy – there were only 4 tables the night we were there. 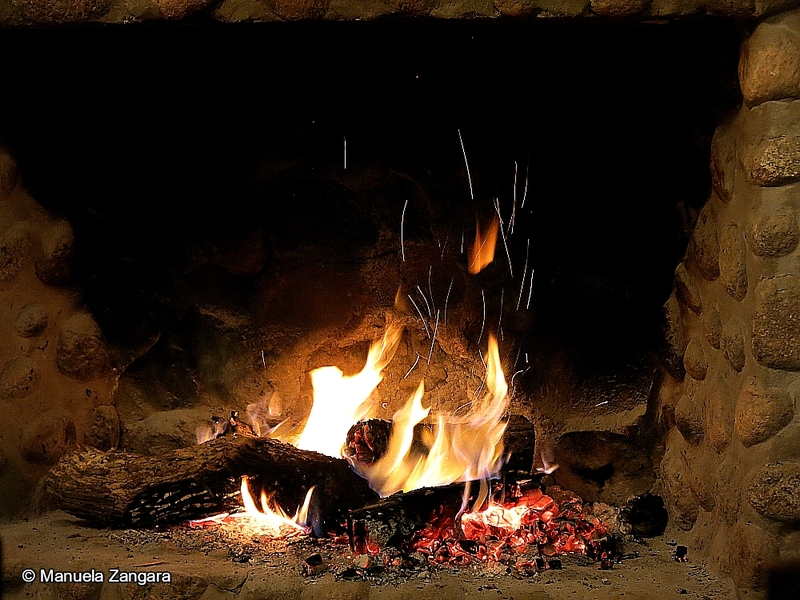 It was very cold, so the fireplace was a great relief for us. 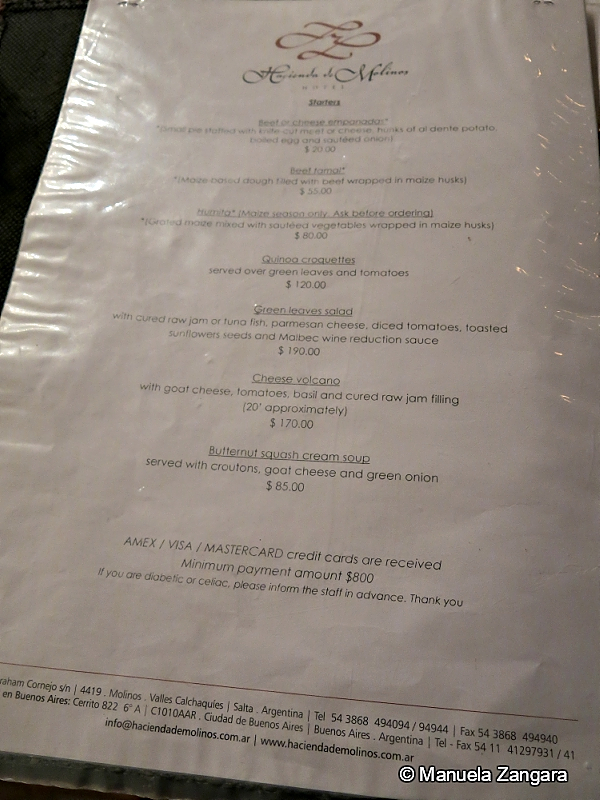 The menu is huge with a lot to choose from, especially considering that you are somewhat in the middle of nowhere! The majority of the items are regional specialties made from regional ingredients. They also have a good variety of local wines from the Calchaquí Valleys. 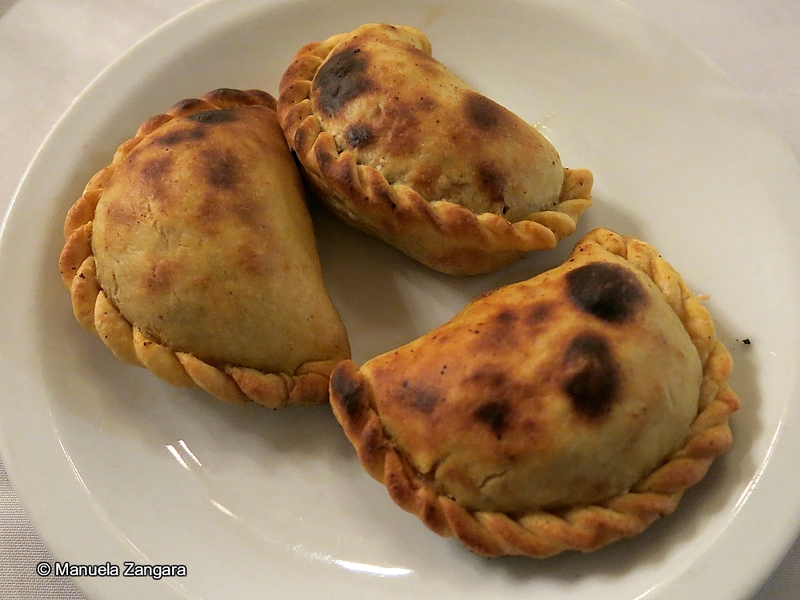 We shared some meat empanadas, which were baked in a mud oven, as was customary in colonial times. They were yum! 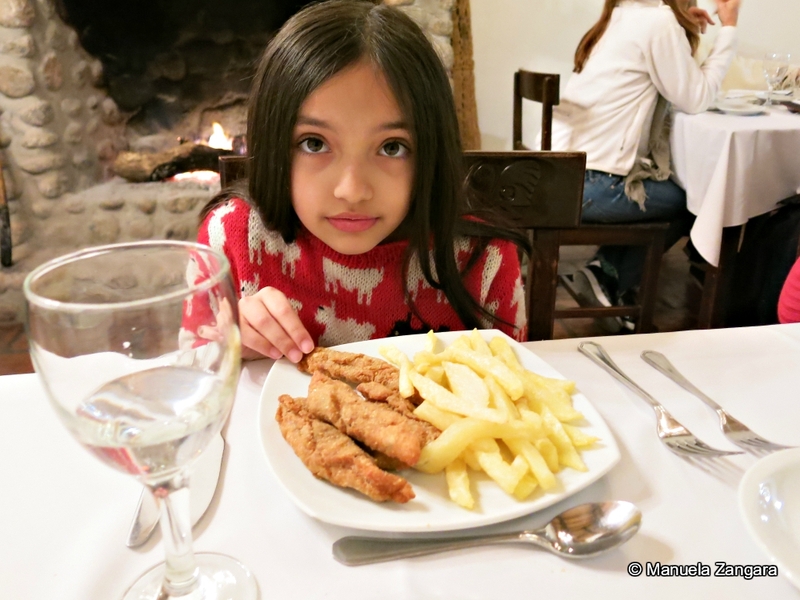 Then the kids had chicken “nuggets” – homemade and huge – and chips. 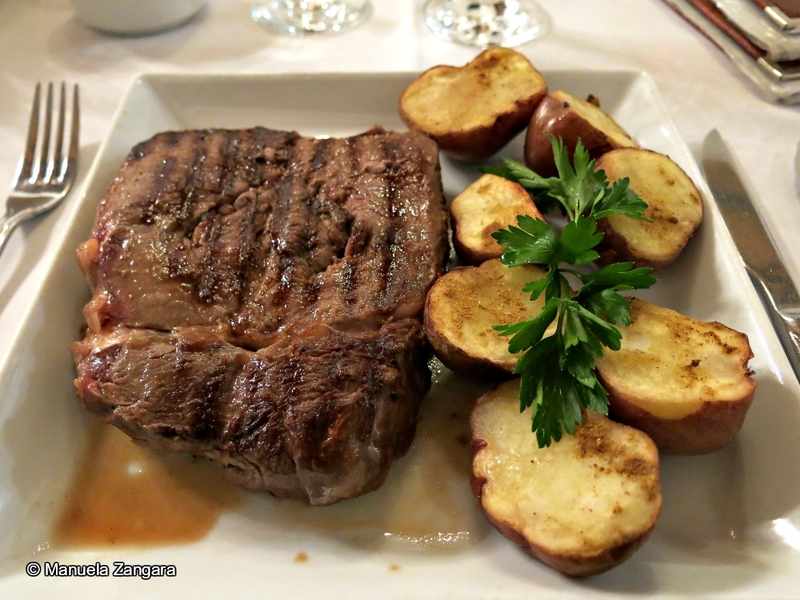 While both my husband and I had a sirloin steak with curried Andean baby potatoes. 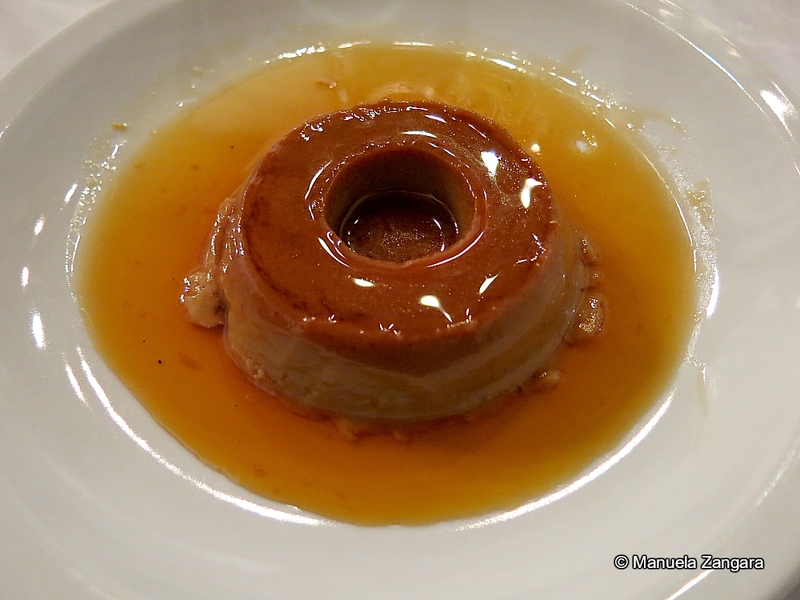 For dessert, my husband had a Dulce de Leche Flan. 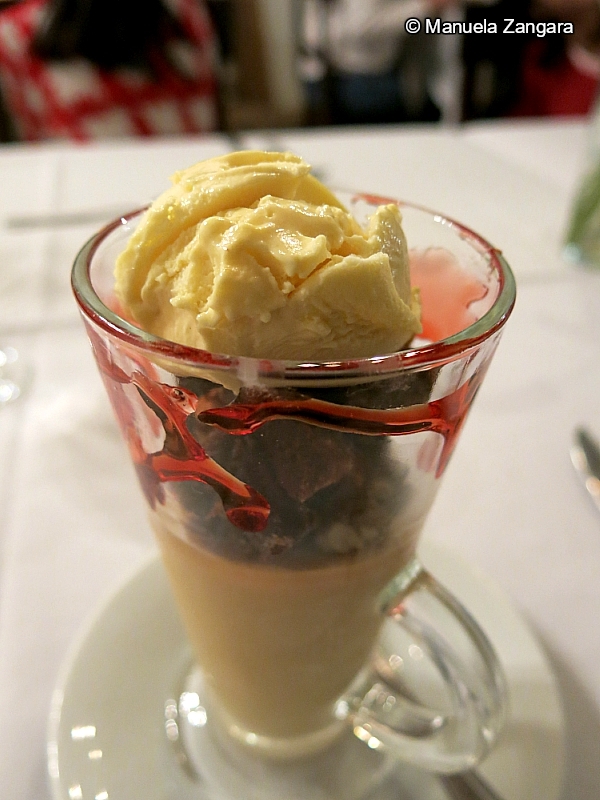 While I had a Dulce de Leche trifle made up of dulce de leche mousse, chocolate marquise cake, nuts, and ice cream. I had to share that with the kids as it was huge. Delicious! 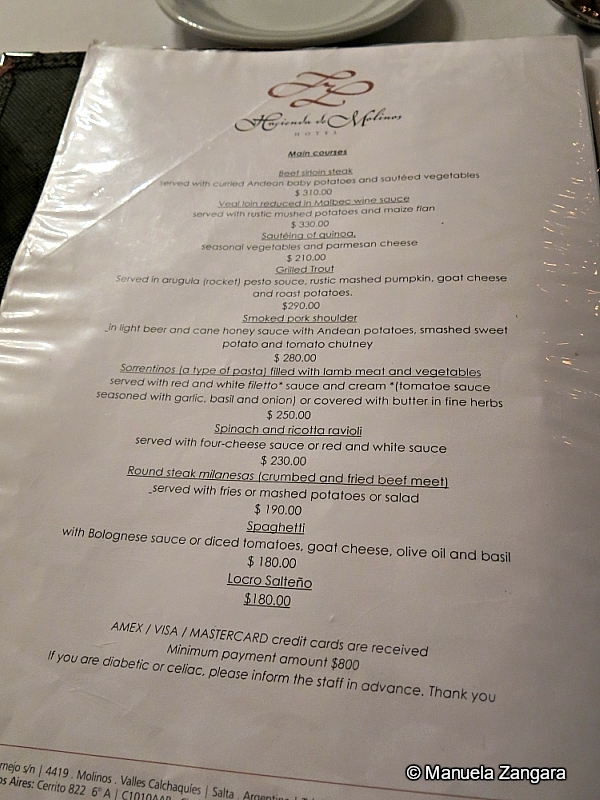 The food was really nice and the portions were quite generous. Highly recommended. In Molinos, we stayed at Hacienda de Molinos. 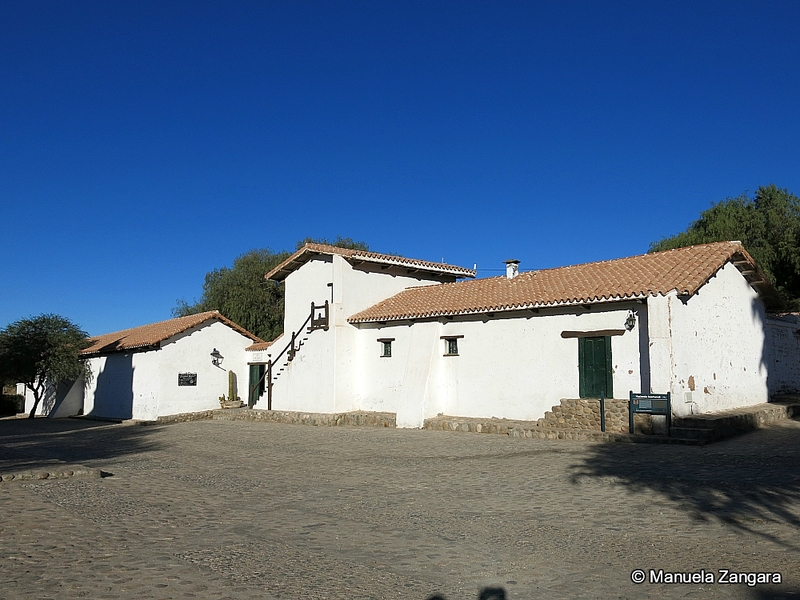 It is a traditional hacienda, which dates back to 1713 and was home to the last governor of Salta appointed by the King of Spain (the same Nicolás Severo de Isasmendi whose mummified remains can be found in the church on the other side of the square). 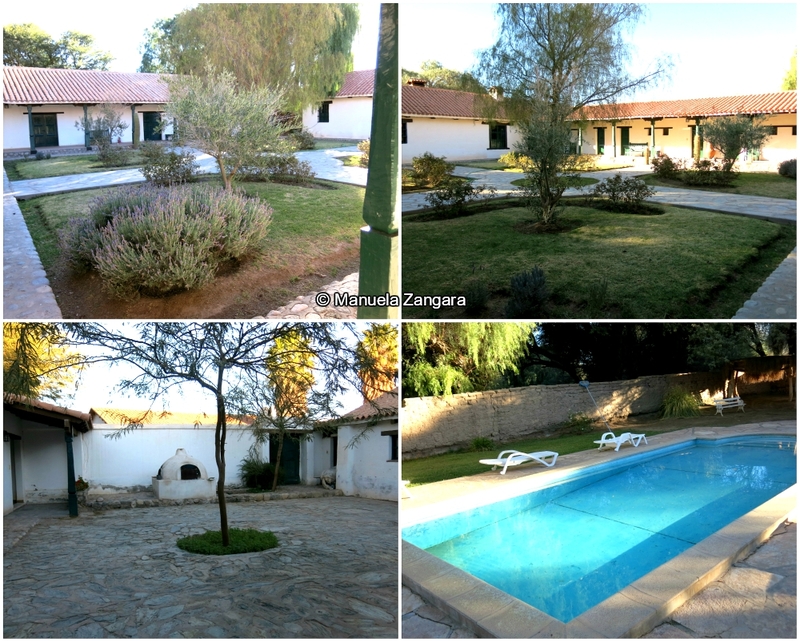 The house has been refurbished to provide the guests with all comfort expected from a 21st century hotel, including a swimming pool, while preserving the essence and typical features of colonial times. 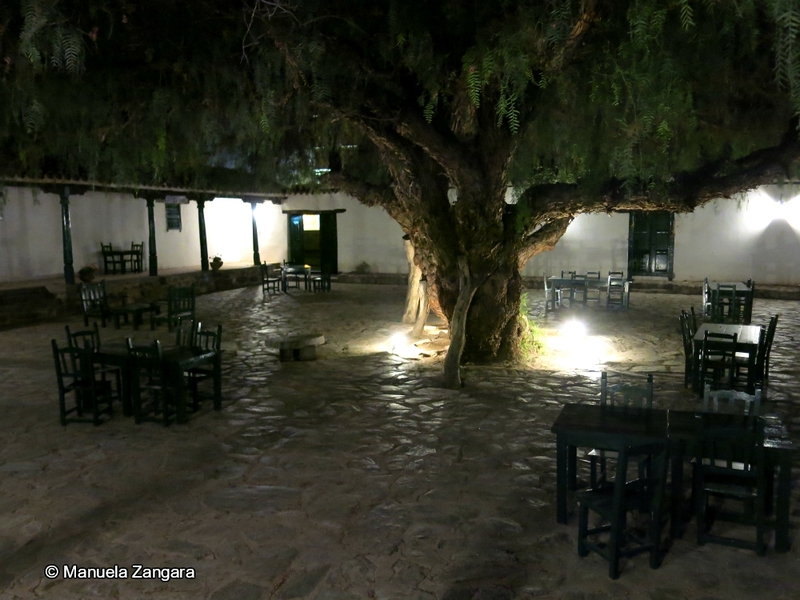 The patio shaded with a pepper tree, the thick walls made of adobe, the iron window bars and the ceilings made of carob tree and reed are some of the enchanting details the hotel offers, which mark its character and take you on a journey to the past. I really loved this place. It was so peaceful. There were just 3 couples, an old mother with her 2 daughters, and us. 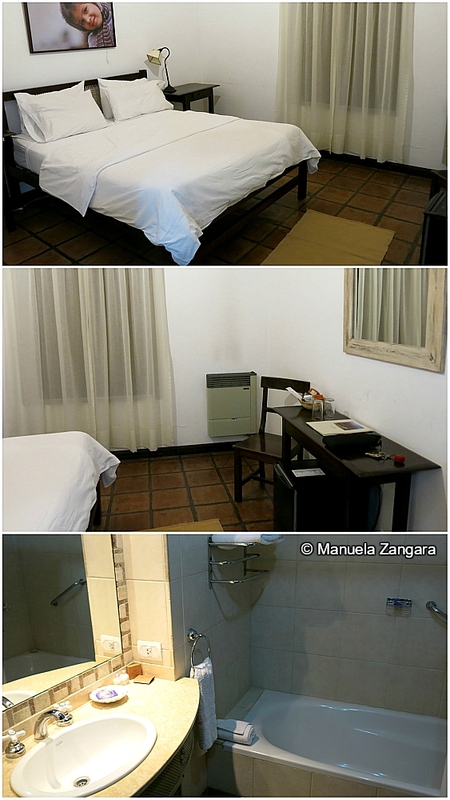 We were in the last patio and had 2 interconnecting rooms (#12 and #13), both with an en-suite bathroom. The furniture was basic, but the beds were really comfortable and I loved the fact that we could sit outside in the patio and read. 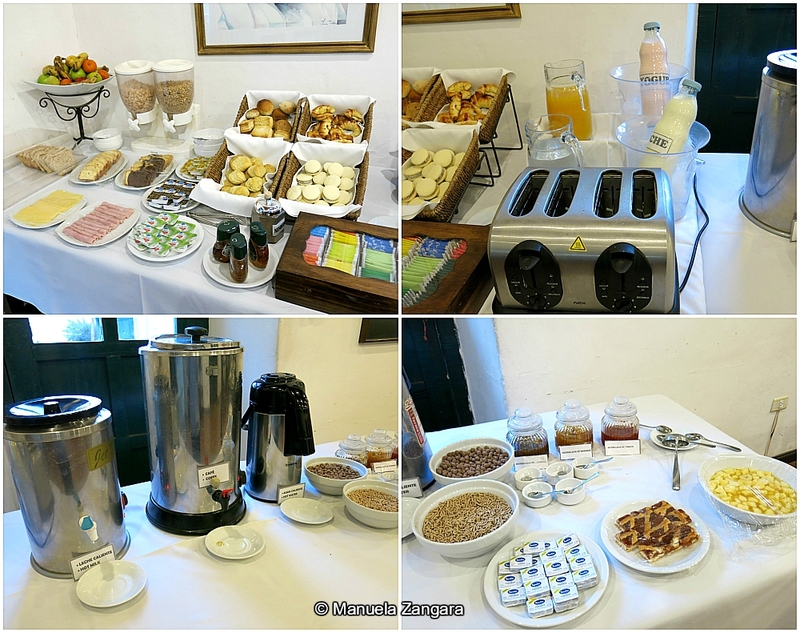 Breakfast wasn’t a huge affair, and I didn’t find much for me to eat with all the restrictions of my low fodmap diet. Luckily they made me scrambled eggs without dairy. Yay! I highly recommend Hacienda de Molinos for its historical charm. It doesn’t happen every day to be able to spend the night in such a beautiful colonial house! And the food is also pretty good! 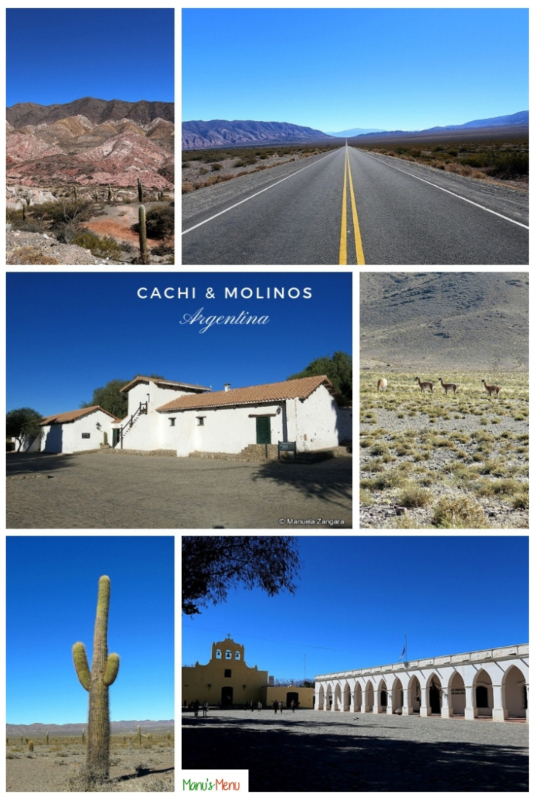 I highly recommend you rent a car when in Salta and drive to Cachi and Molinos en route to Cafayate. Major rental companies have offices at the airport and in Salta, such as Hertz (Caseros 374) and Europcar (Córdoba 20). 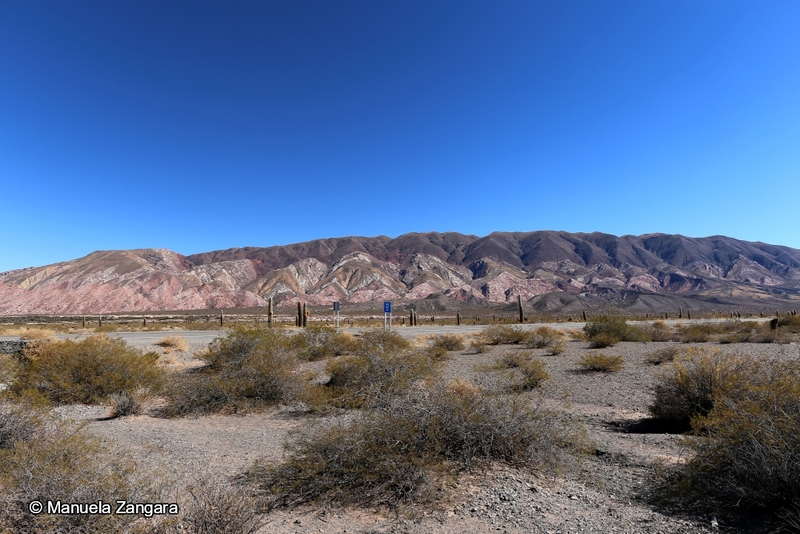 To get to Molinos from Salta, you have to drive on RN68 to El Carril and then take RN33 that will take you to Payogasta, through Quebrada del Escoipe and Parque Nacional los Cardones. The road up until here is paved and reasonably good. 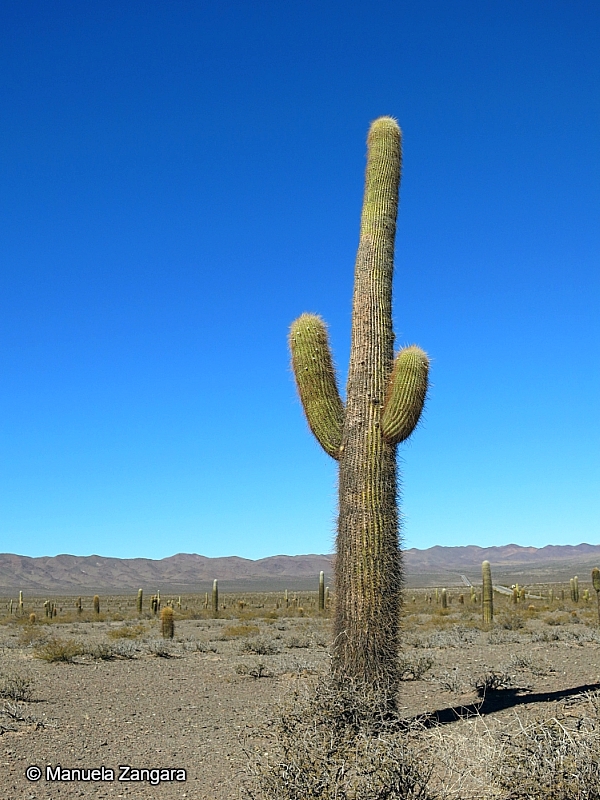 In Payogasta, you take RN40 to Cachi. After Cachi, the road (RN40) becomes really bad. It’s gravel, narrow at times, and full of potholes. Drive carefully and slowly. 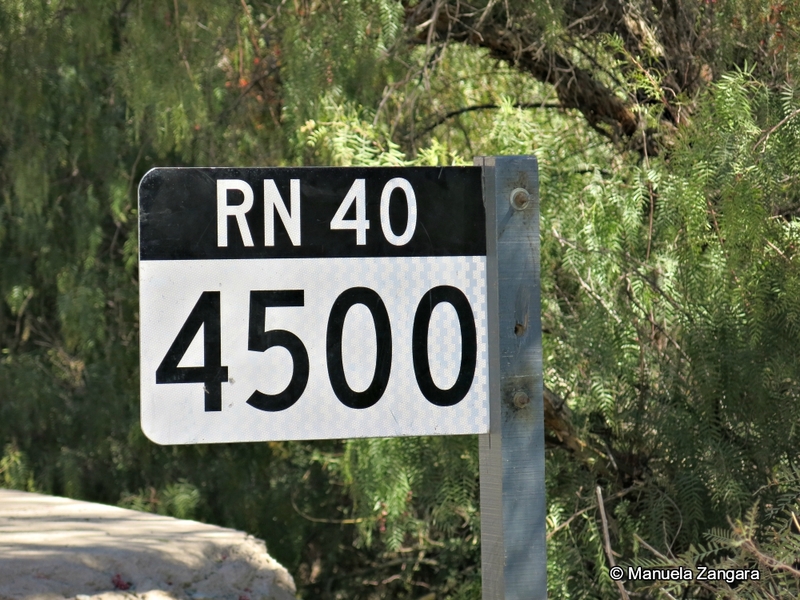 RN40 is an iconic road. 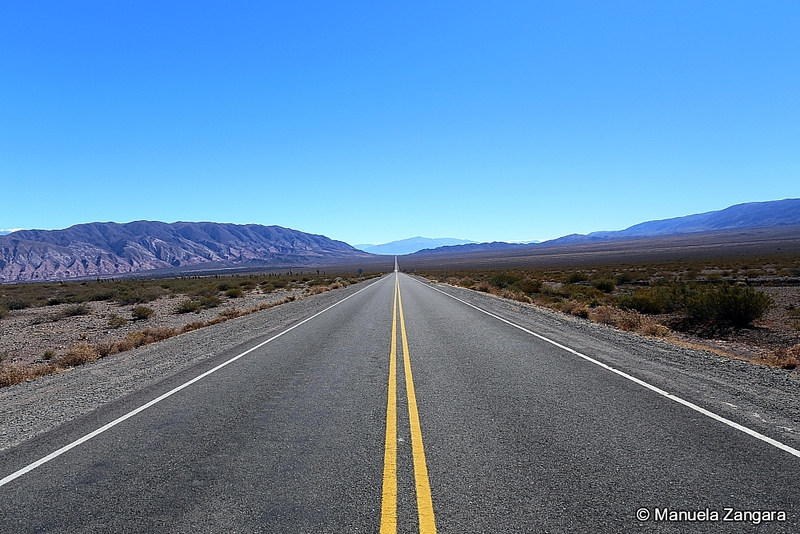 It is the longest route in Argentina linking the northern town of La Quiaca (at the border with Bolivia) to Patagonia, and one of the longest in the world alongside such routes as US Route 66. It’s more than 5,000 kilometres (3,100 mi) long!. 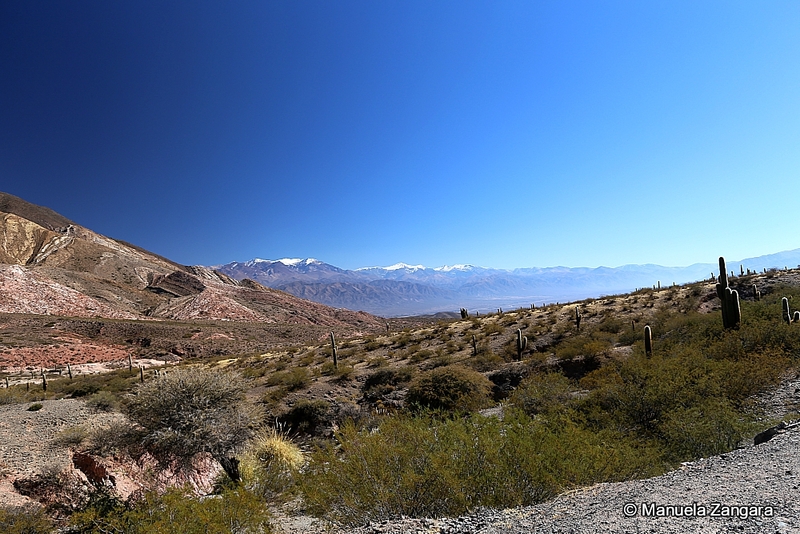 RN40’s highest point is 5,000m (16,404 ft) in Abra del Acay in the Salta Province. 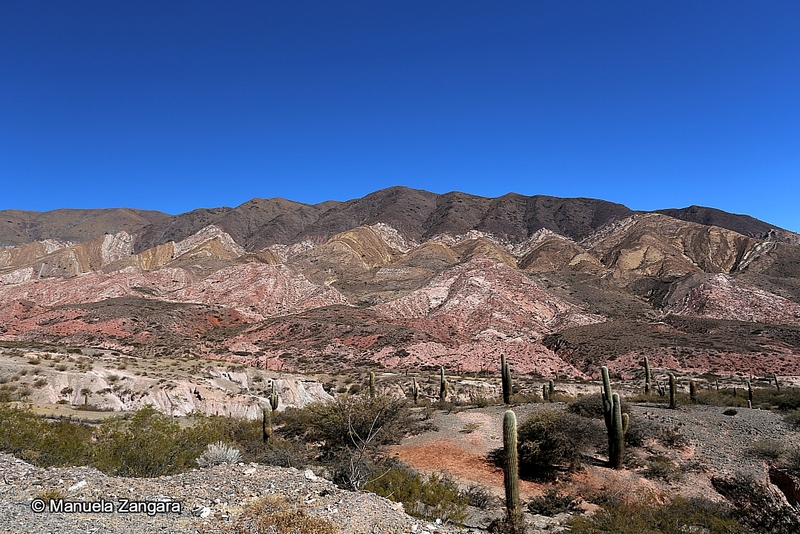 The area between Salta and Molinos is AMAZING. If you like nature, you are in for a treat. 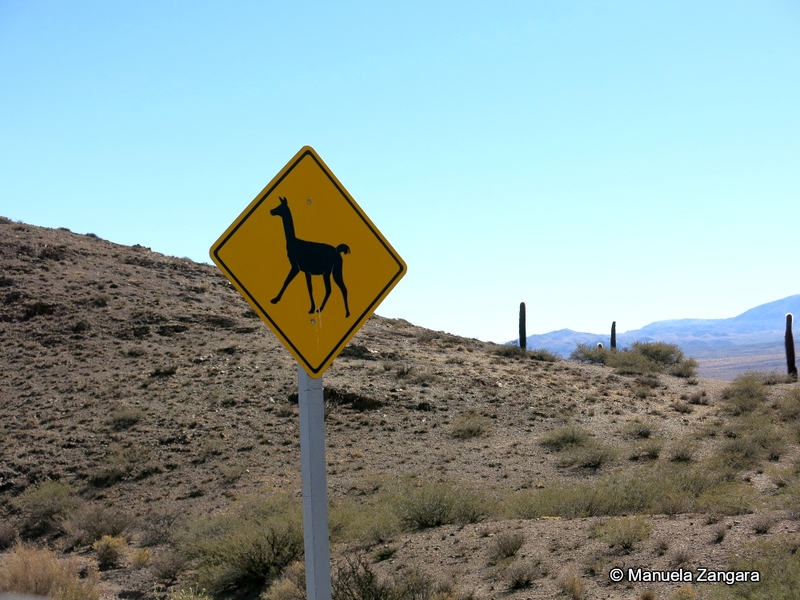 The rock formations have incredible colours, the snowcapped mountains are breathtaking, the cactus fields are huge and beautiful, and the little adobe colonial villages are too cute to be true. If you like history and ancient cultures, this is also the place for you. 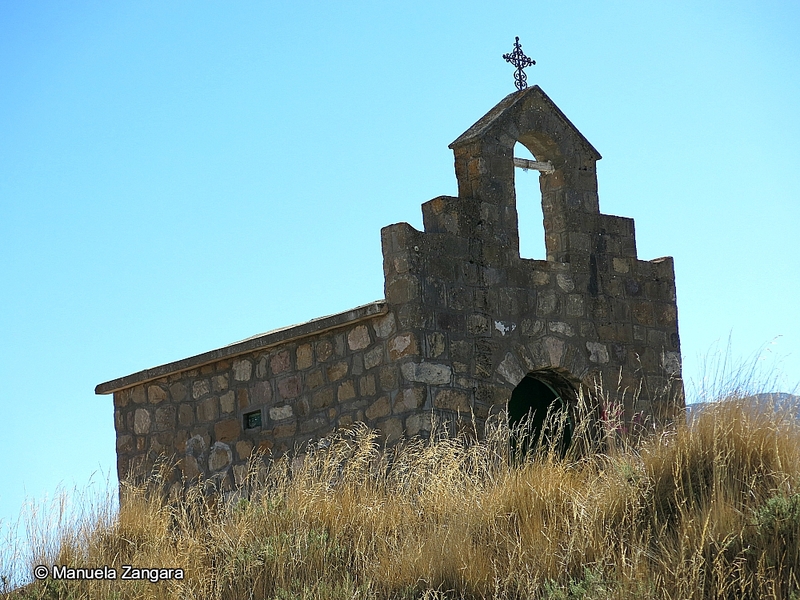 I wish we could have stayed a few extra days to explore the areas around Cachi and Molinos, like Seclantas and the nearby Laguna de Brealito.